What’s With the Heavy Robes in Hot Climates? 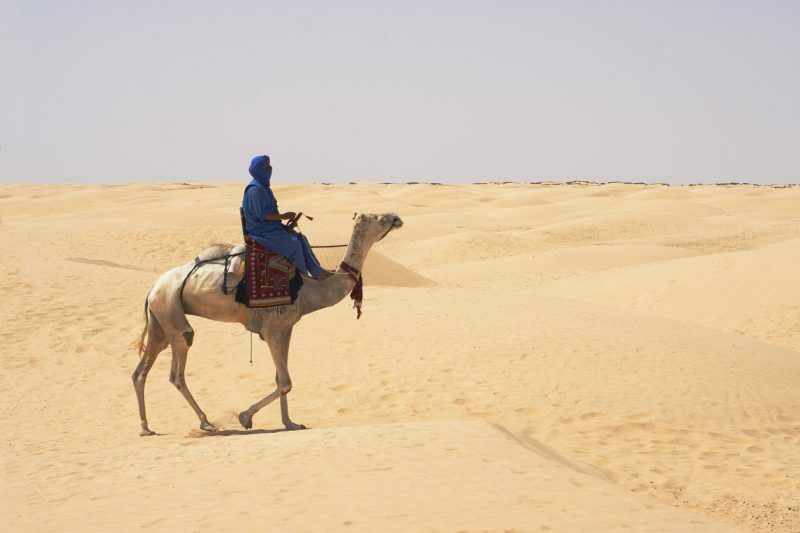 We’ve all seen images of robed Arabs riding camels through sand dunes. While there’s a good chance that the actual scenes we’ve seen are more the product of someone in Hollywood’s imagination, these images are based at least a little bit on fact. Someone had to see it at some point for us to even have the idea; so, where did this idea come from and why is it important? Even today, you can find people in the Middle East who dress in the traditional garb of long, heavy robes. 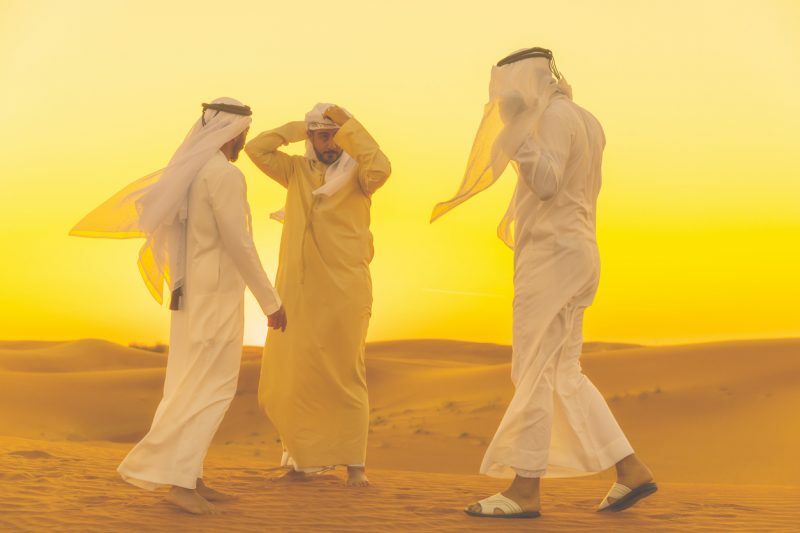 While there are many, especially amongst the younger generation, who have opted instead for western clothing, the Middle East is a place where traditions are strong so it’s unlikely that the Arab robe will go away anytime soon. To start with, the idea of robes isn’t anything new; rather, the idea of pants is… at least in comparison to robes. The earliest archeological reports of pants date back to the 10th century BC, and they came into more widespread use by soldiers sometime in the 6th century BC. It wasn’t until the 8th century AD that they actually came into common use. While that is a long time ago, the history of robes goes back much further. The reason pants replaced robes is because of warriors riding on horseback into battle. Robes, like dresses, don’t fit with riding astride a horse all that well. While women have been known to ride sidesaddle when wearing dresses, especially fancy dresses, riding sidesaddle really isn’t practical for warriors headed into battle. 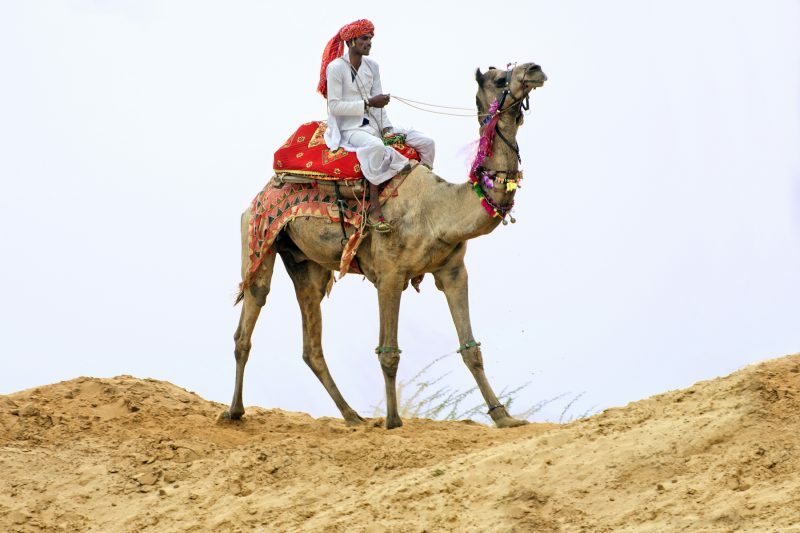 However, pants aren’t absolutely necessary for riding camels because the rider can ride on top of the hump. 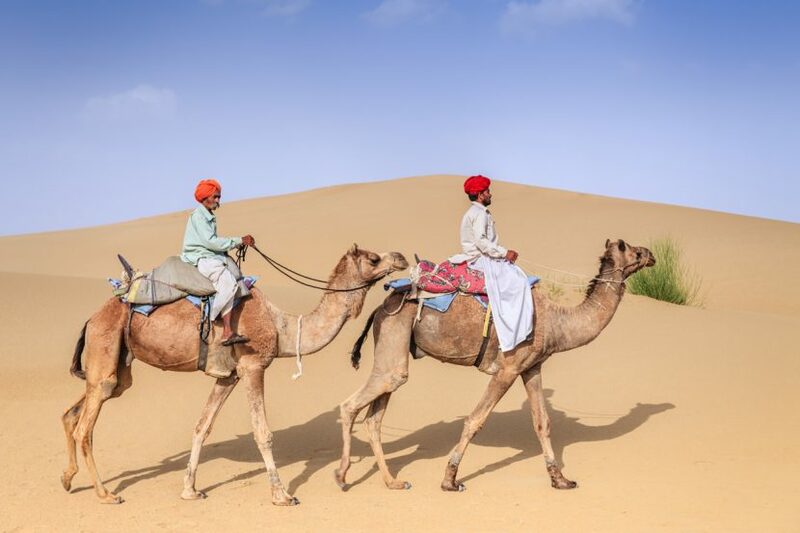 While you can ride astride, camels can also be ridden with the rider’s legs facing forward or just on the sides of the hump, so there wasn’t as much of an impetus to switch from robes to pants in the Middle East. One of the primary purposes of any clothing is to act as insulation. In survival, it is widely recognized that the number one priority is to maintain one’s core body temperature. Clothing helps with this by insulating the body from the ambient temperature. Normally, when we think of this, we think of protecting ourselves from the cold to avoid hypothermia – the loss of core body temperature. We think in this way because hypothermia is a bigger problem for us here in the United States than hyperthermia (too much core body heat). Our four seasons, with cold winters, provide plenty of opportunities for hypothermia and fewer opportunities for hyperthermia – except in the Deep South or Southwest in the summertime. Things are different in the Middle East. 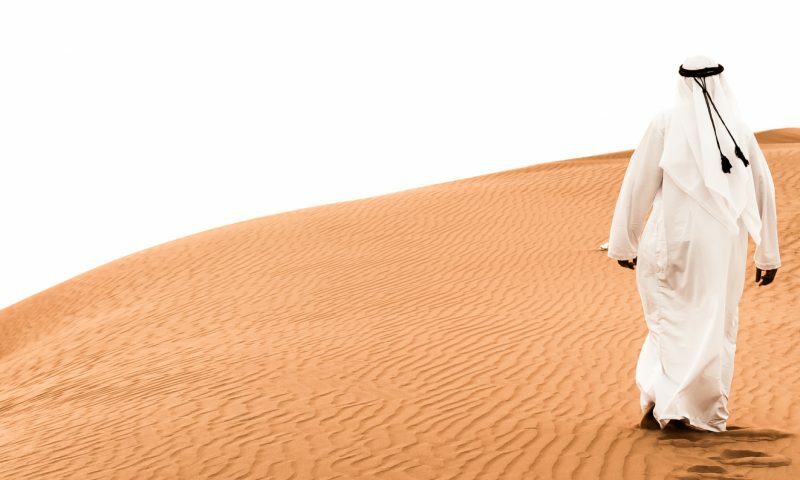 Temperatures in Saudi-Arabia in the summertime range from 45°C to 54°C (110°F to 130°F). In those temperatures, hypothermia isn’t the issue; hyperthermia is. People don’t need to insulate their bodies from the cold but rather from the heat. Granted, the normal body temperature of 37°C (98.6°F) is still pretty hot. If you or I were standing outside in that temperature we’d certainly think so, but to someone living in Saudi-Arabia, that would probably feel comfortably cool. Wearing multiple layers of clothing in the form of heavy robes provides insulation for these people and protects them from the ambient heat. While their skin temperature may be higher than ours is, it is not so hot that their core temperature is raised by it, which is the issue they need to protect themselves from. At the same time, all those layers of fabric absorb the perspiration from their bodies and wick it away from the skin. The water in this perspiration needs to absorb a large amount of heat in order to evaporate. As it does, it cools the layers of air trapped inside the multiple layers of fabric in the robe and creates an environment that is cooler than 37°C for the person wearing the robe. 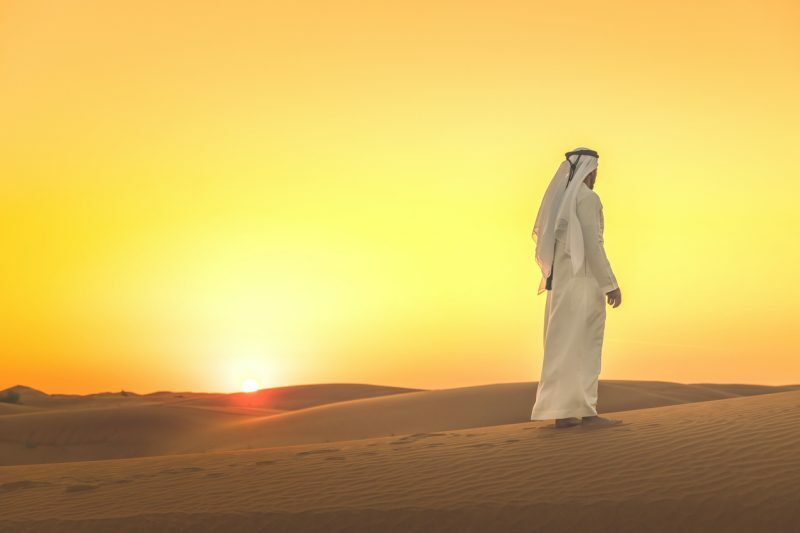 So, while it may seem counterintuitive to us living here in the west, it is actually beneficial for those living in a hot climate such as the Middle East to dress in these heavy robes in order to keep cool. Another important aspect of these robes is that they are traditionally white, unlike the burqas that Muslim women wear today (which are traditionally black, although available in other colors). There’s a very good reason for this. White reflects more sunlight than any other color, which keeps the fabric from absorbing as much of the sun’s heat. If the fabric was to absorb more heat from the sun, it would make the wearer much hotter. By using white, people are able to keep cooler. This raises the question of why burqas are usually black. I would think that if it makes more sense for men to dress in white, it would also make more sense for women to do so as well. However, in that culture, men are more likely to be outdoors while the women are usually in the home. The burqa is only worn as an outer-garment over other clothing when it is necessary to leave the home. 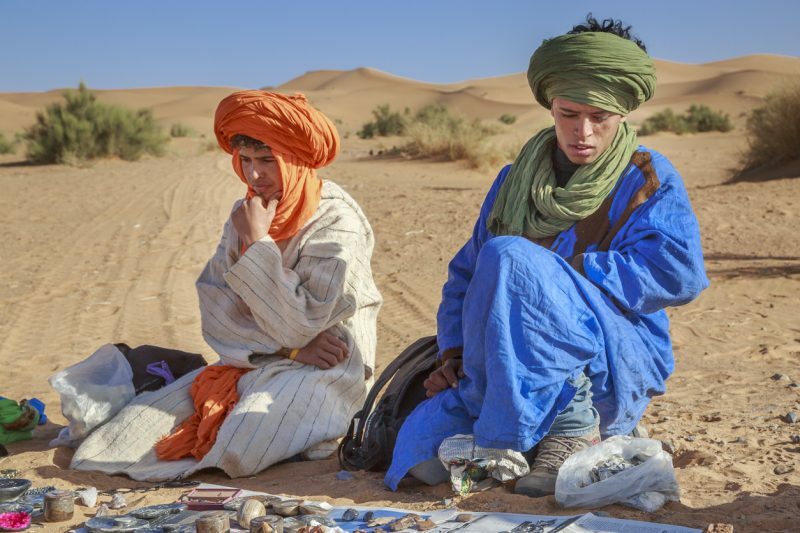 While few of us are likely to end up lost in the Sahara Desert, there are other deserts here in the United States – most notably the Mojave Desert in the Southwestern part of the country. Anyone who travels in this part of the country has the potential to end up stranded if their car breaks down. Should this happen, the car’s air conditioner probably won’t do them much good. If those people happened to have heavy coats with them, they could put them on as protection from the heat. While that wouldn’t work quite as well as the multi-layered robes the Arabs use, it would still offer insulation from the heat. At the same time, it would also reduce the amount of water lost through perspiration. When your skin is already wet, the body doesn’t continue sweating as much. The other thing that would be useful if heavy coats are unavailable would be to use white fabric or some other light color to provide protection from the sun. This doesn’t have to be worn like clothing but can also be used as a barrier to the sun such as a sunshade.